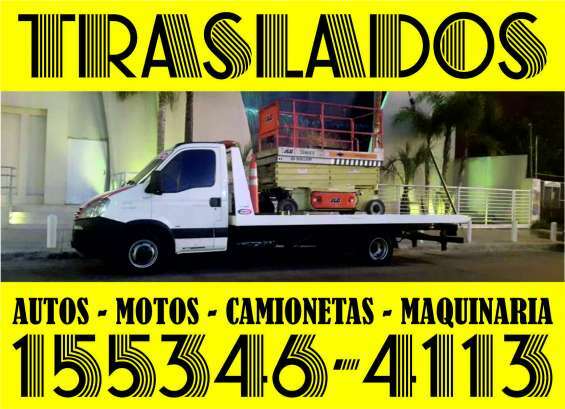 AUTOS, MOTOS, BOBCAT, COMBIS,PICKUP, UTILITARIOS, MAQUINARIAS, AUTOELEVADORES, GRUPOS ELECTROGENOS, CUATRICICLOS. SE NECESITA AMBULANCIA MODELO 2000 EN ADELANTE PARA TRASLADOS COMUNES CON CAMILLERO.PAGO POR GUARDIA .PARA MAS INFORMACIÒN COMUNICARSE AL 1522192048 SR. NESTOR DE LUNES A VIERNES DE 10:00 HS. A 22:00 HS.